Diagonally-cut, synthetic bristles suit any eye shape and can be used to define, blend, and diffuse cream, powder, and gel formulas. These high-performing fibers provide a cushioning effect, while a revolutionary hidden core maintains the tool's shape and creates the perfect balance of strength and flexibility. 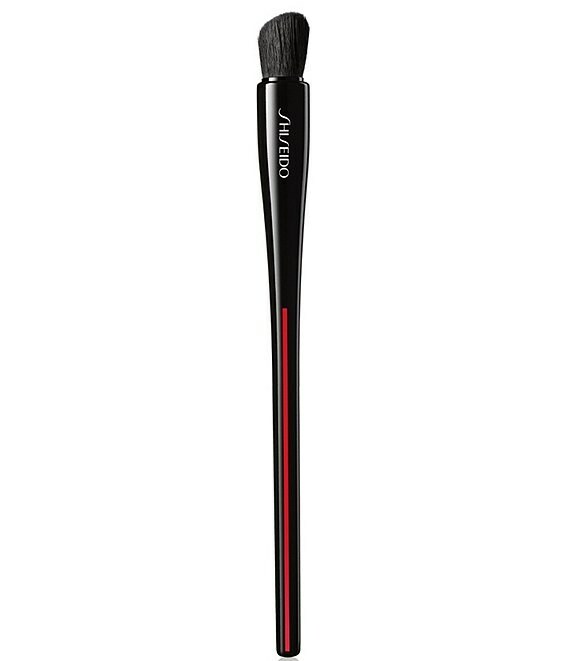 Handcrafted in Japan, this ultra-soft brush brilliantly deposits color and quickly diffuses any hard edges.